We have a selection of Living Plant Gifts, you can purchase our plants as separate gifts or add them to any fruit hamper or fruit basket. Surprise them with one of our beautiful seasonal plants by post straight to their door. We have a gorgeous collection of contemporary indoor plant gifts for you to choose from, all of which are long lasting so the lucky recipient can continue to enjoy and nurture their gift long after it arrives. 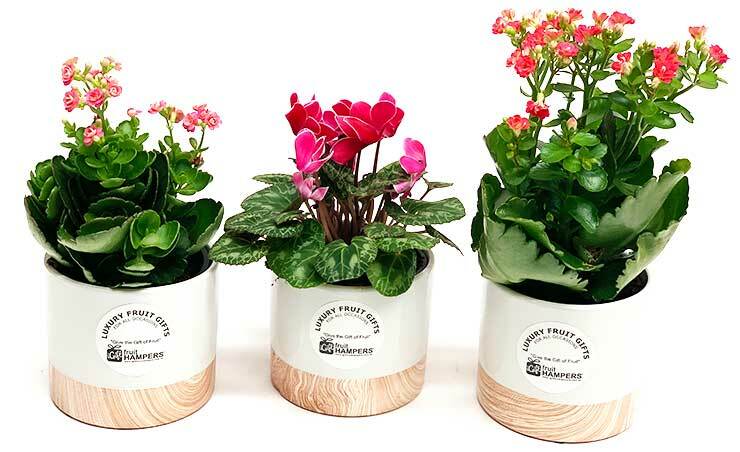 All our great value plant gifts arrive with FREE delivery by post and will arrive straight to your loved one’s door so you can put a smile on their face. Buy your Plant gifts online and have them delivered. Plant Gifts Online Australia Flowering pot plant - 13cm Plants make people happy! Brighten up someone's day with a beautiful flowering pot plant.